If the referred company opens an account with Alsco you will receive a credit to the value of the new customer’s monthly spend. Maximum $2,500. 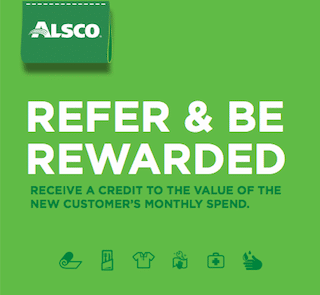 Alsco reserve the right to refuse their service and participation to its referral program to any person or business, without notice, for any reason whatsoever.